Come and join us on the water! There are several ways to become members of the Club.. Most people join initially to be 'casual sailors' using their own boat or a Club boat. Those that haven't sailed before, or need a serious refresher, come on a Royal Yachting Association (RYA) training course at the Club. Others just join and learn from other members, especially at the Friday evening 'Sail & Pizza' informal sailing sessions. If you already can sail, and have your own boat, you may wish to join and get involved in dinghy racing straight away. You don't actually have to sail a dinghy – You can also join to windsurf or to use a paddle – kayaking, canoeing or paddle-boarding. 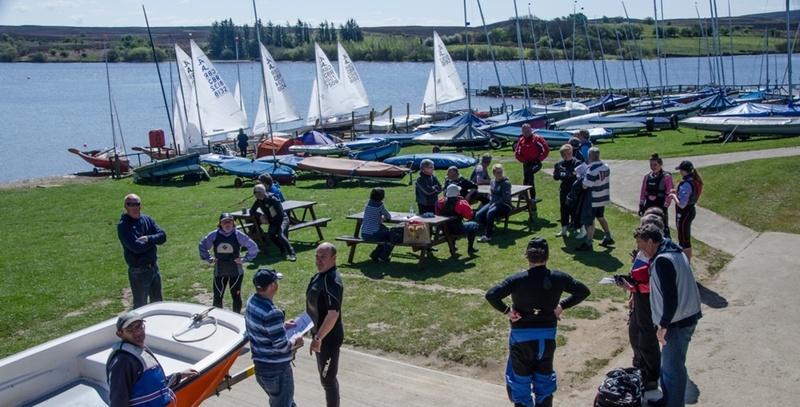 The latter three activities count as 'non-sailing' and have a much lower membership fee, and if you live more than one hour's drive away from the club you get a 40% discount on all annual membership fees. Most people join for a year at a time, but you can be a 'day' member three times a year or a 'temporary' member (2 weeks) once per year. These give you a chance to try out the Club, or to sail when you are only briefly in the area. Download the 2018 SDSC membership form below which includes more information on membership categories, fees, and club rules. The popular membership categories are Family, Single, Young Adult and Junior. The sailing season is 1st March to mid-November and membership runs for 12 months from the date of joining. Interested in joining? Hopefully our website has given you enough information but, if you would like to know more, please contact the Membership Secretary (Richard Hanage on 01642 317309 or richard@hanage.com). He can help you to decide how best to join.